Barefoot Books have very kindly sent Leo two very lovely books to have a read of from a series of books written by Stella Blackstone. The first book ‘Bear on a bike’ is my favourite out of the two, following bear on his adventures of trying out different forms of transport. Leo and I like to sit down and get cosy with a good book, if I can keep him still long enough of course, but when I can he loves looking through all of the pictures while I read to him. ‘Bear on a bike’ has beautiful illustrations throughout; it is a lovely book to read to a child with the consistent rhyming and repetition used with each ending word. 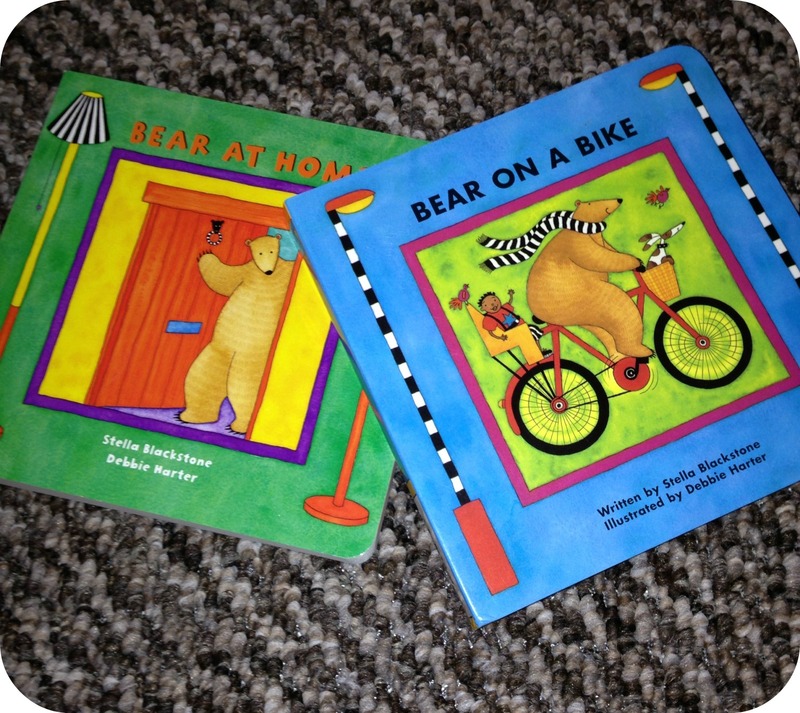 ‘Bear on a bike’ is the wordier book out of the two and uses short sentences. Throughout the book bear travels on a bike, a raft, a boat, a steam train, a carriage and a finally a rocket ship! Each transport choice bear travels on takes him on an adventure, and each of the illustrations really brings the book to life. 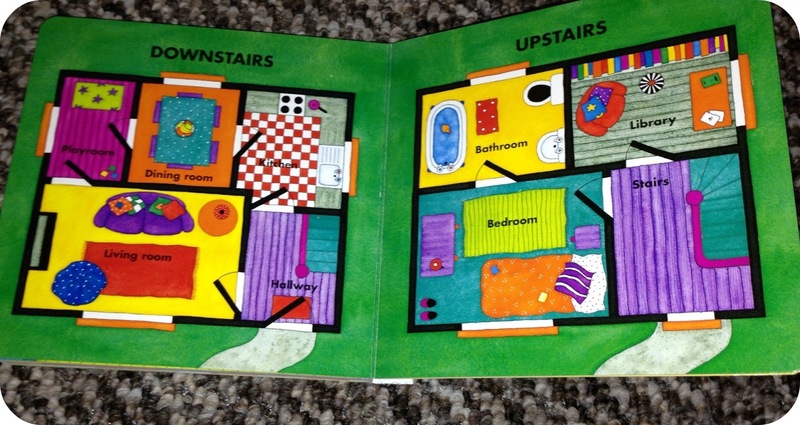 The second book we have had the pleasure of reading is ‘Bear at home’ and in this lovely little book we follow bear all around his home, from room to room. As with ‘Bear on a bike’ the book uses rhyme and repetition, which makes the easy to follow children’s story sound wonderful. 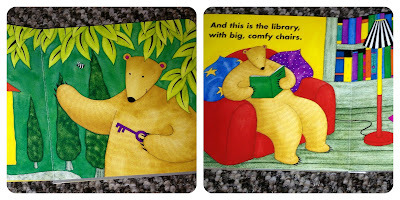 The words are accompanied by more wonderful illustrations as we follow bear around his humble abode. At the end of the book there is even a map of bear’s entire house. Each of the books retail at £4.99 and are recommended from the age of two years plus. Leo is 17 months old and has thoroughly enjoyed these books, they aren’t too long so you aren’t at risk of losing their attention span, and because they are board books they aren’t at risk of damaging them. Barefoot books have such a beautiful collection of stories and books available for children and these two books are shining examples of what they have to offer. 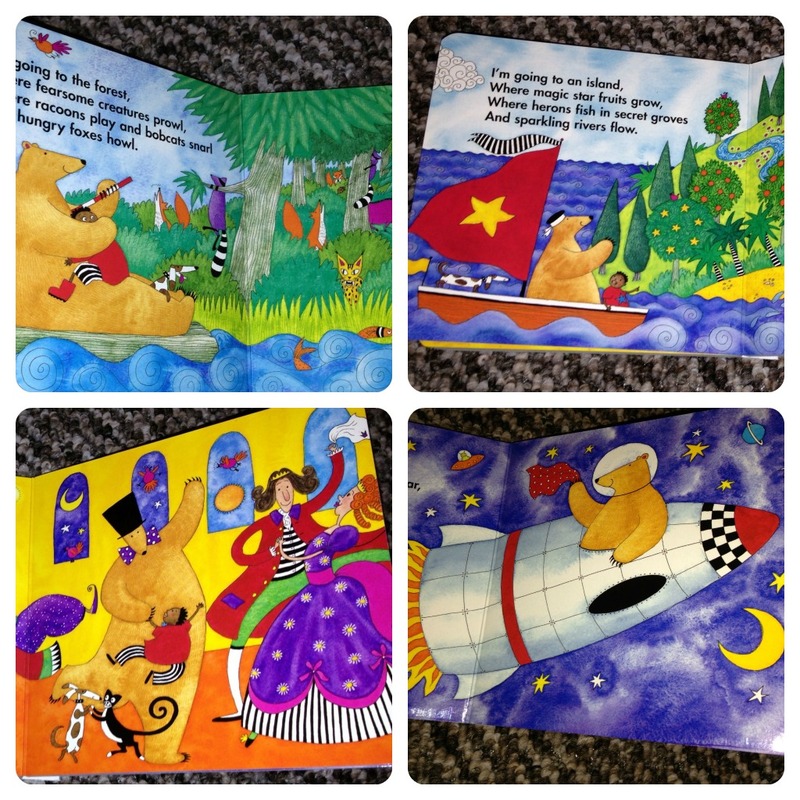 Earlier this year I visited Britmums Live which is when I first came across Barefoot books. I was very lucky to receive a lovely children’s atlas, which I have put to one side for one day when Leo is old enough to appreciate it. Disclaimer: I was sent a copy of ‘Bear on a bike’ and ‘Bear at home’ for the purpose of this review. However all views and opinions expressed are completely honest and my own.